We Were Liars opens with a map of an island followed by a detailed family tree. Right from the start we know that the Sinclairs are a privileged family. They have their own private island. The children want for nothing. And they are all tall, athletic and attractive — the American dream. But as we enter their world, seen through the eyes of seventeen-year-old Cadence Sinclair Eastman, we realise theirs is a life of smoke and mirrors. Happy marriages seem hard to come by for the Sinclairs. Pill bottles lurk on bedside tables. And the trust fund money is running out fast. But every summer, all the family still arrives to holiday on Beechwood Island. Cadence, Johnny and Mirren are cousins. They're all about the same age, and they mark the passing of the years by the summers on Beechwood. In summer eight, the year they are all eight, Gat joins them. He's the nephew of Ed, the new man in Carrie Sinclair's life, and he's not blond and privileged. He's of Indian descent, lithe, dark, and lives with his widowed mother in a small apartment. Together, Gat, Mirren, Johnny and Cadence become the Liars. By summer fourteen, Gat has become politically aware and a thinker. Drawn together by their shared passion for books, Cadence and Gat slide slowly from friendship to love. Then in summer fifteen, something happens. One night, Cadence goes swimming alone and is found the next morning, curled up on the sand, shivering uncontrollably. And everything changes. This is a book of lies and mysteries, where nothing is as it seems. Intricately constructed, it's creative writing at its very best. E. Lockhart's use of words both lacerates and enfolds, plucking at our emotions and manipulating our understanding of events. I found myself re-reading lines, just so that I could soak up the richness and precision of the language. Cadence is a compelling narrator. E. Lockhart is a writer of immense talent. 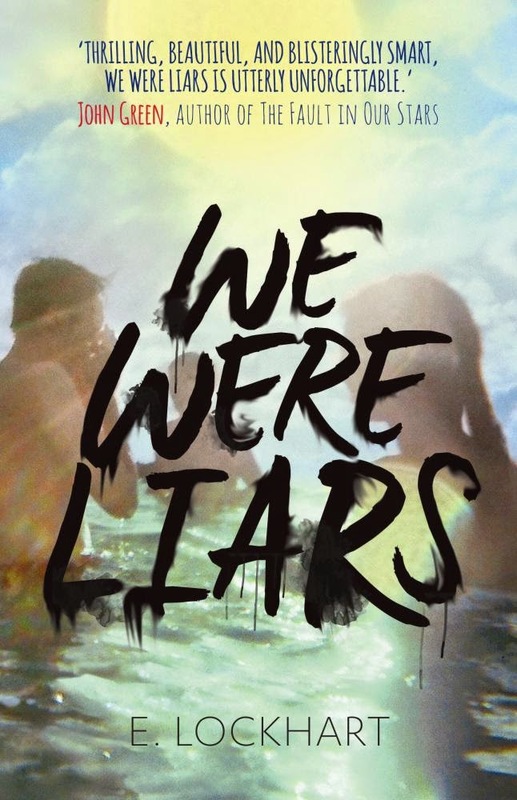 We Were Liars is a book to savour.